Determining the correct battery capacity to support a load requires knowing the total daily load requirements. The next step is to consider the type of battery for the application. For the purposes of this discussion, we will focus only on the lead-acid battery, as it is still the most commonly used type. STIKmann should use a 12 V battery that is rated for about 113.3 Ah or 1360 Wh of energy storage. The average load is the determining factor for calculating how large a battery bank must be. A battery bank should be sized so the batteries are cycled (one full discharge followed by a full recharge) about twice each day. 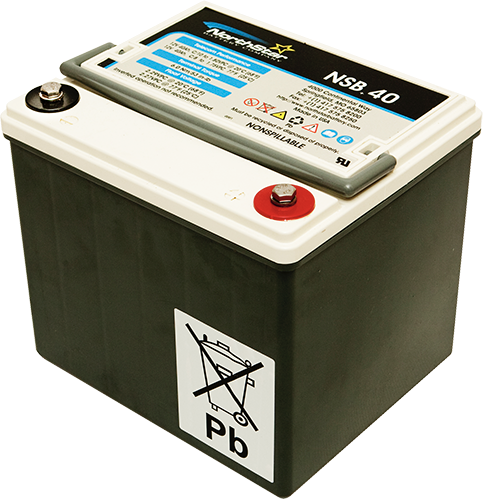 Solar Stik recommends a maximum of 50% depth of discharge for lead-acid batteries and 80% depth of discharge for LiFePO4 batteries. Properly sizing the battery bank keeps system cost down by ensuring both that the correct number of batteries is purchased (i.e., not more batteries than necessary) and that batteries are not damaged due to overcycling.